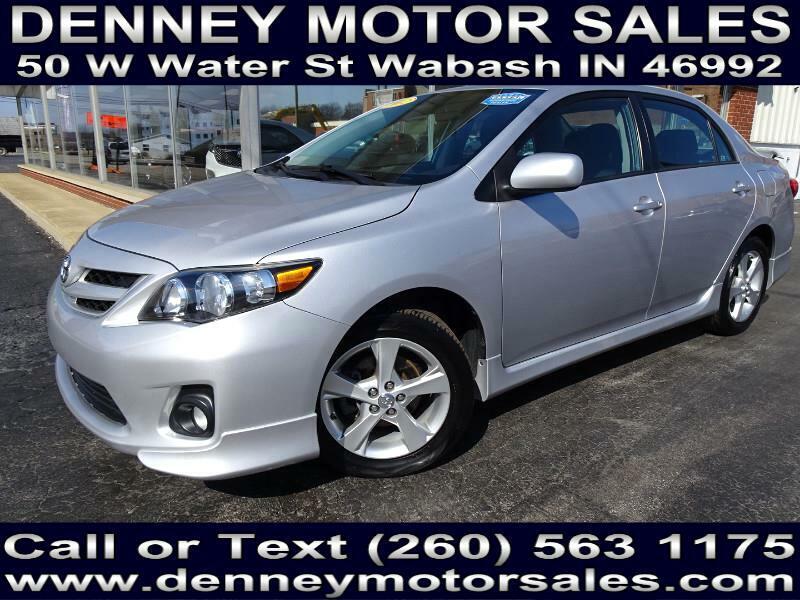 Used 2012 Toyota Corolla S 4-Speed AT for Sale in Wabash IN 46992 Denney Motor Sales Inc.
2 Owner Local Trade, Non-Smoker, Bluetooth Connectivity, Driver Information Center, 16 Inch Alloy Wheels, Keyless Entry, Power Windows, Power Door Locks, Power Mirrors, Fog Lamps, Rear Spoiler, Silver Metallic with Black Cloth Interior, 1.8L DOHC 4CYL Engine, Automatic Transmission, and much more!! Please visit http://www.denneymotorsales.com/ to view more photos of this 2012 Toyota Corolla S Sedan! !